There are a number of terms used in ornamental turning. This page outlines the key ones. An index of terms defined here is below. Self centering, 4-jaw lathe chucks are commonly used. These are the sames ones used on "traditional" lathes, though it is more common to see the smaller ones in ornamental turning. 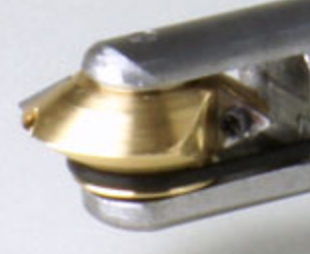 Other types of chucks that get used include a bezel chuck (also known as a jewler's or watch maker's chuck). In ornamental turning, there are some other types of chucks that get used to hold the work. John Edwards has a great document about these accessories. So please don't get the idea that you will get bored with this craft. There will always be more to build or buy or just play with. 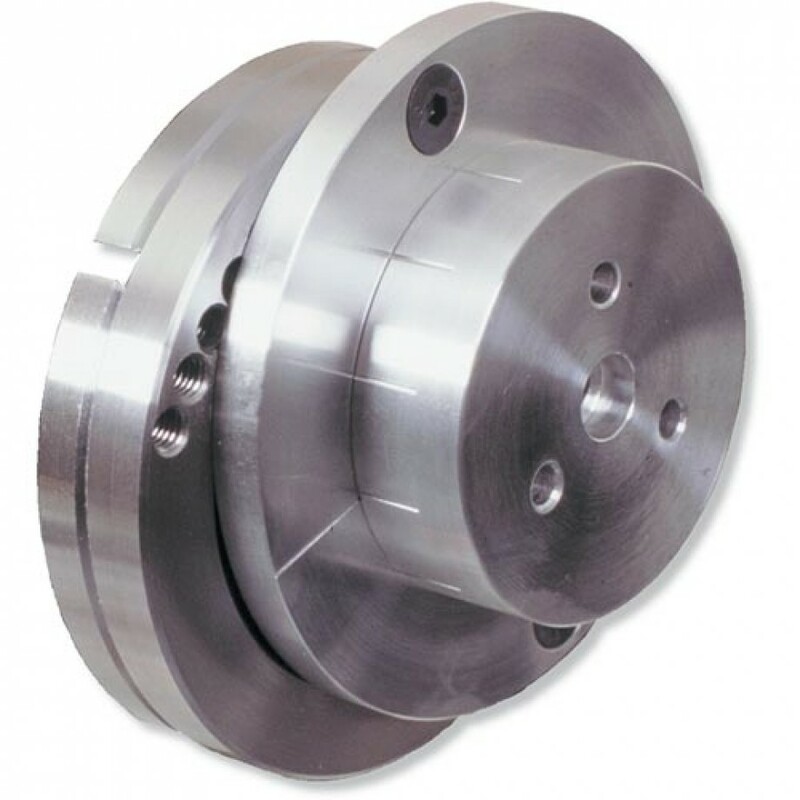 Dome Chuck - (sometimes called a Spherical Chuck) a chuck for holding the object perpendicular to the axis of rotation (or at some other angle which is not aligned with the axis of rotation). Bill Ooms made what he calls a Super Dome Chuck, and has published his plans. Jon Magill made a different style, and showed it at the 2016 AAW Symposium in Atlanta. You can delay getting one of these. Frankly, unless you have the need for one, you could make a load of stuff never having one of these. Eccentric Chuck - a chuck for holding an object off center from the axis of rotation. You can delay getting one of these. Jon Magill authored an article titled, "Ornamental Obsessions—Slightly Eccentric" that has more pictures and details. 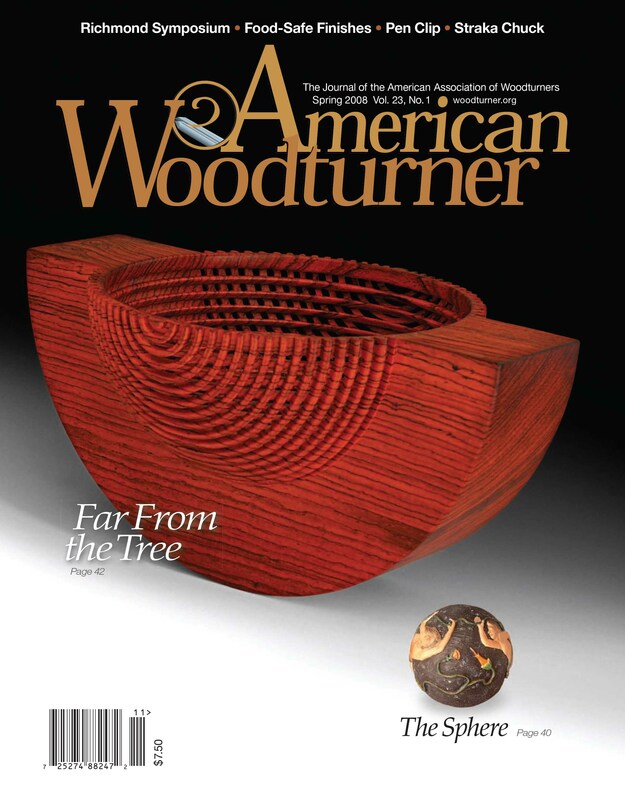 That article was published in the AAW's magazine, "American Woodturner" in Fall 2009, pages 60-62. Bill Ooms made one using Corian. The video of how he did it is below. Ellipse Chuck - the ellipse chuck is similar to the eccentric chuck, but is used to make oval parts. The details are difficult to explain, and are better explained by John Edwards' document. 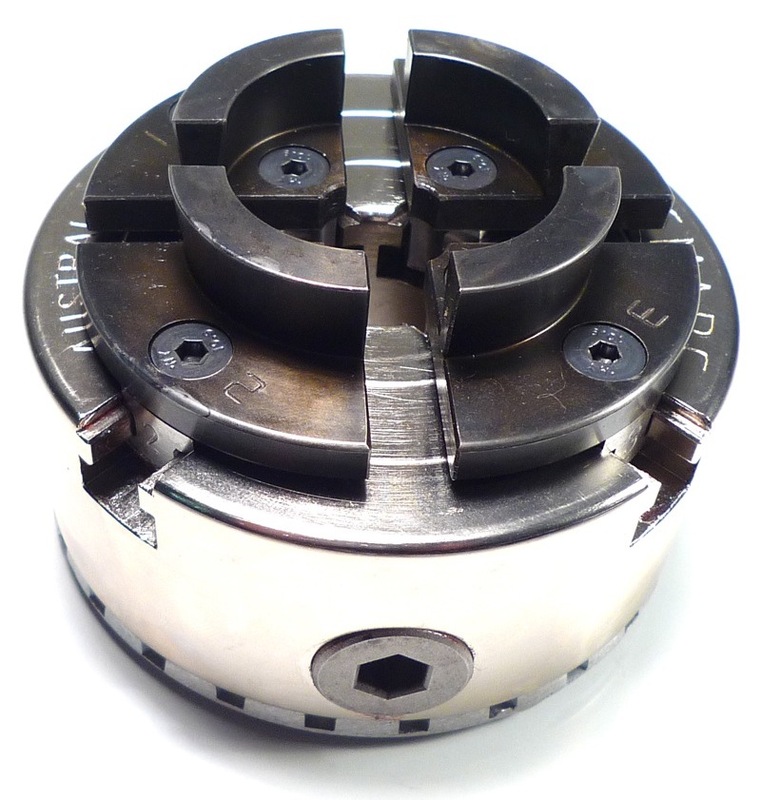 Geometric Chuck - a chuck used for cutting patterns made up of rolling centres. The details are difficult to explain, and are better explained by John Edwards' document. Leveling Chuck - a chuck to hold an object and allow the turner to adjust how it is being held. It allows for adjustments in the X, Y, and Z axes. This is especially useful for guilloché work. Oblique Chuck - chuck used in conjunction with a rectilinear chuck to position objects in ways that a dome chuck cannot do. The details are difficult to explain, and are better explained by John Edwards' document. Paper Chuck - a chuck to hold a piece of paper so that an image of the rosette's final product can be visualized. The shape of the rosette may not be readily evident about the product it will produce, plus the other variables like the touch's shape can change what the rosette produces. 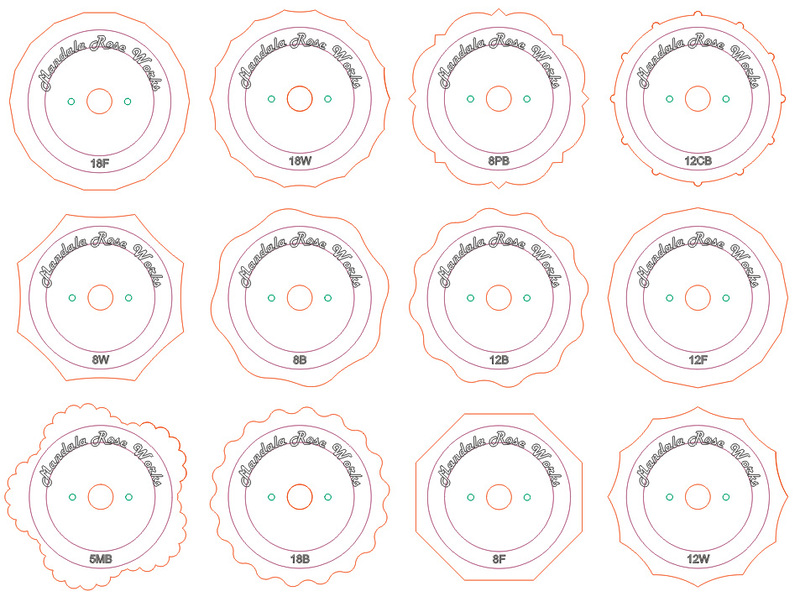 This can be a really useful tool to explore rosettes. Consider getting / making one in the short term. Pencil Chuck - form of the dome chuck with a longer base and a dead centre used to hold long slender objects - things like pen barrels. The details are difficult to explain, and are better explained by John Edwards' document. Rectilinear Chuck - a larger version of the eccentric chuck. As it has more divisions on it, it provides for rotations via the nosewheel that are not as easy to set using the eccentric chuck. The rectilinear chuck is useful as a platform for the oblique chuck. Straightline Chuck - a chuck to hold objects vertically, and allow for ornamenting them that way. The object being held moves up and down (along the Y axis), and rocks back and forth (the X axis). 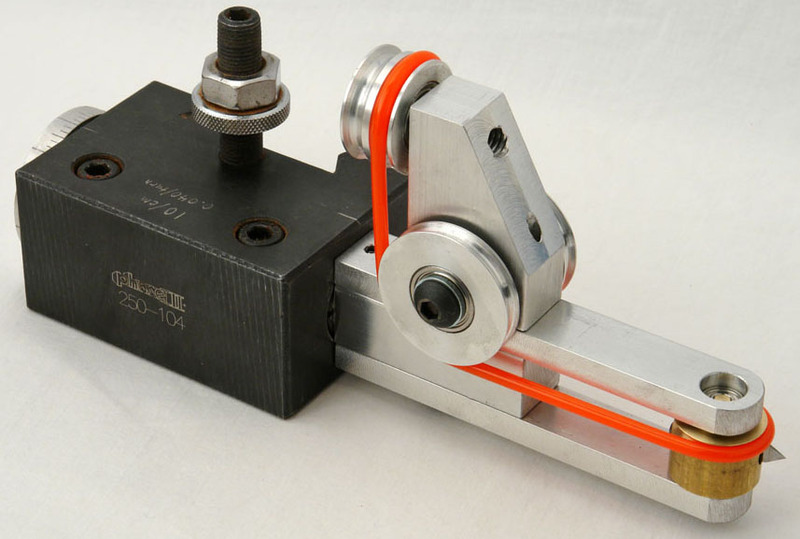 It does not rotate around the lathe's drive axis (the Z axis). This is particularly useful when making ornamentation on cylinders like pens, or on long, flat objects like bracelets. 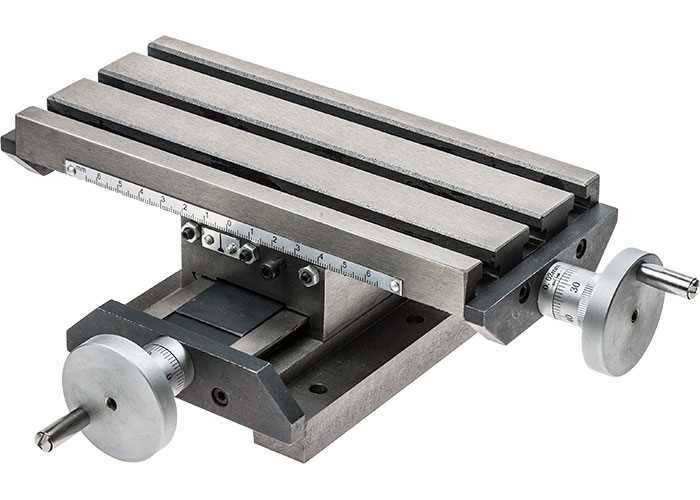 To get the cutting frame or drilling frame in the right position for cutting, it is held in a quick change tool post bolted to a cross slide (sometimes called a "table"). 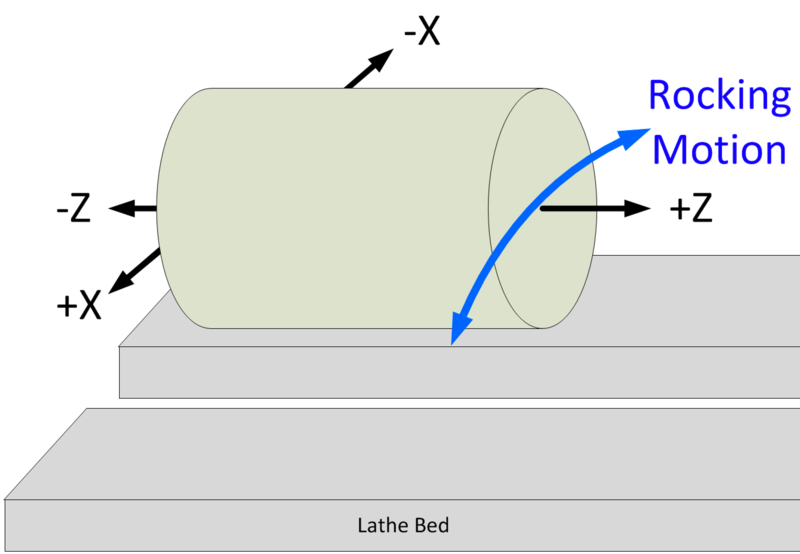 All metal lathes have a cross slide built into the bed of the lathe (these usually have a compound slide added). Wood lathes don't have a cross slide; instead they have a fixed tool rest. Milling machines also have cross slides as an integral part. In both cases, the cross slide allows very precise alignment of the cutting tool with the object being formed. 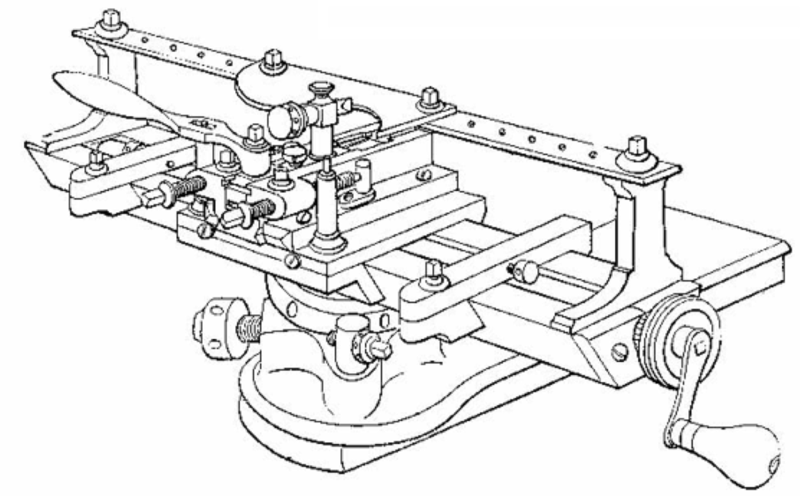 In some applications (e.g., milling), the cross slide would be called an X-Y table, but when used on a lathe, the directions are as diagrammed in the drawing on the lower right, "Lathe Axes". This is because the part being turned on the lathe would be on its side (so the cross slide is sometimes called an X-Z table). X axis - used to denote movements perpendicular to the axis of turning, and on the horizontal plane. These movements are made using the Cross Slide. Y axis - used to denote movements perpendicular to the axis of turning, and on the vertical plane. Movements in this direction are made using the quick change tool post, but really these movements are only to change the way the tool engages with the object. Generally, the tool is aligned so that the cutting edge is at the exact center of the object (especially when working on the end of the object). Z axis - moving towards, or away from, the headstock of the lathe. These movements are along the axis of turning. 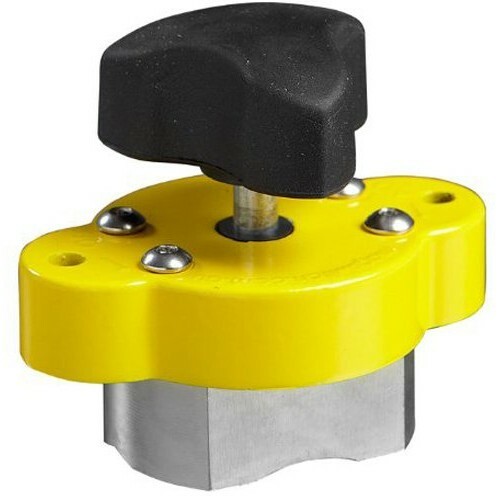 The tool being held in the cross slide receives downward force from the pressure the object's rotation places on the cutting tool. However, when using a cutting frame or a drilling frame in ornamental turning, the cross slide does not receive as much pressure as it would when using fixed tools or on metal lathes. Thusly, the cross slides on starter-level ornamental lathes do not have to be as rugged, and usually have a larger range of movement in the Z axis. The quality of a cross slide can vary greatly, and the better the quality, the higher the cost (we all know the old adage, "you get what you pay for"). 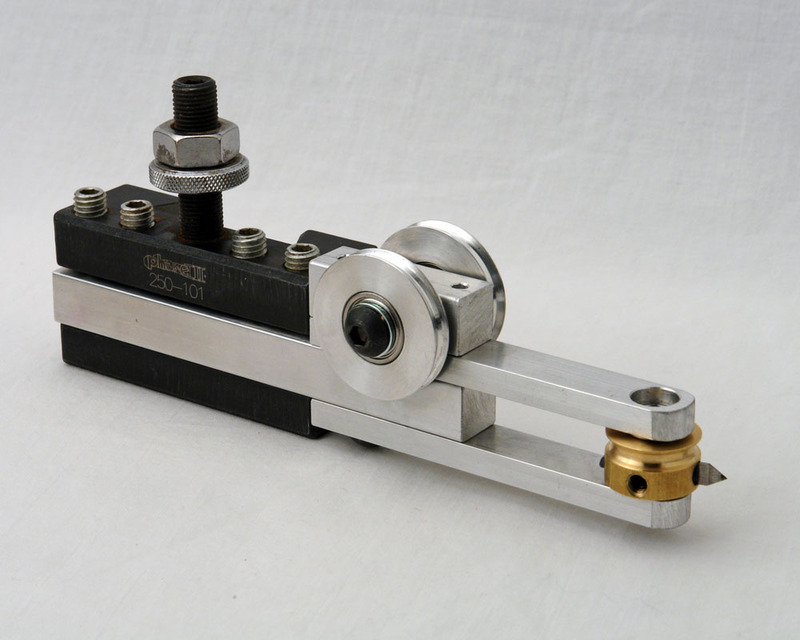 The Hardinge cross slide is very well built and works greatly, but that comes at a high cost. You can find a used Hardinge cross slide, and the used ones are potentially a good value. In 2018, one that is in good shape was in the $2,500 range. There are some operations where this rotation may be useful. One ornamental turner told me he used it for a cutting operation that was not achievable otherwise. But, you can start with the one shown at the right, and upgrade to the Hardinge later. This is the one shown above on the right. Fine tuning the cross slide is recommended, especially if you opt for a starter-level one. The video below outlines how to do this on a hobbyist metal lathe, and the approach works well for this cross slide also. These instructions are worth following. This video is about refurbishing and fine tuning the Hardinge cross slide. It was given by David Lindow at the 2018 Ornamental Turners International Symposium. One recent innovation of great use is the magnetic switch, and Jon Magill introduced the use of this for the Cross Slide when he demonstrated at the 2016 AAW conference in Atlanta. Jon had mounted the Cross Slide onto a piece of MDF that is ¾ inch thick, and put two mag switches into the board also : one on each side of the Cross Slide. 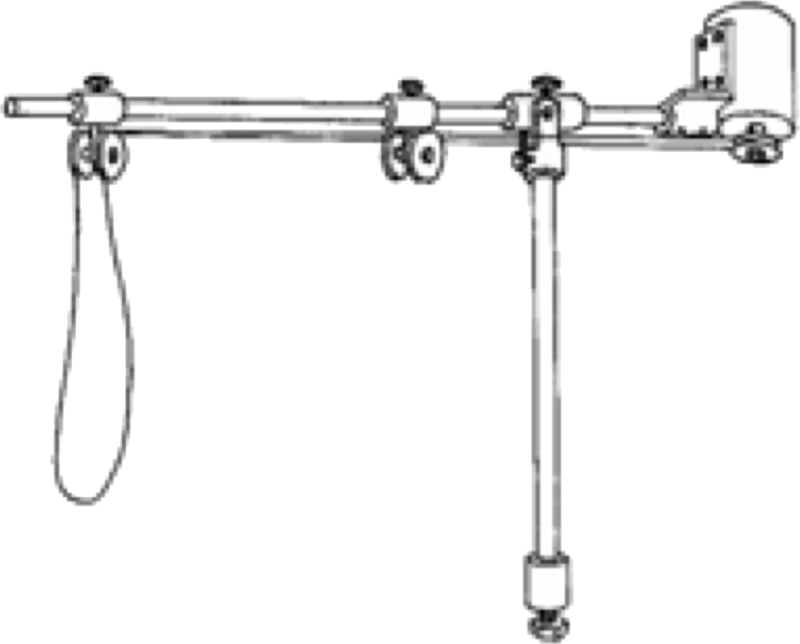 This allowed for easy movement of the cross slide around on a sheet of steel (⅛ inch thick or so). When the Cross Slide was in the general area where Jon needed it, he locked it in place with the mag switches, and worked away. This is a really great innovation worth adapting if you pursue an MDF Rose Engine Lathe. An example of the mag switch in use is in the video below. It is for a different purpose, but useful to show how the mag switches work. This video is about a fixture added to the slide reset : a spherical slide. It was given by Peter Gerstel at the 2018 Ornamental Turners International Symposium. It is used to make a dome shape to the end of an object. A curvilinear slide is used to make shapes that follow a template. For example, the ornamental turner could make a template that looked like a section of a gourd, and then use that template to make a gourd-shaped object on the rose engine lathe. This isn't something you need when you get started, but can be used to make some really neat stuff. If you go the route of an MDF rose engine, there are some really inventive people in the community who have made some that work quite well. The video below shows a number of things, including the use of a curvilinear slide (around 3:50 into the video). This video is about curvilinear designs. It was given by Martin Strand at the 2018 Ornamental Turners International Symposium. This video is about a rotary curvilinear design, which is a whole new level of wierd. It was given by Kenneth Newton at the 2018 Ornamental Turners International Symposium. 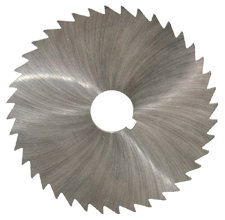 The cutting frame is similar to a circular saw in the way it works. It has a spinning cutter which is engaged with the wood to cut into it. 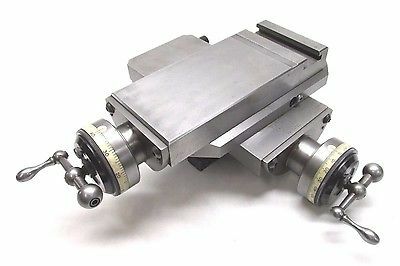 For use, it is held in a quick change tool post (QCTP), and the QCTP bolted to an cross slide (much like a metal lathe's tooling is held in the compound rest). horizontal cutting frames (HCF) - where the cutting head spins horizontally along a vertical axis. This is the one which is shown in the upper picture on the right. vertical cutting frames (VCF) - where the cutting head spins vertically along a horizontal axis. universal cutting frames (UCF) - where the cutting head can be rotated up to 90° left or right, making the cutting head spin along an axis determined by the ornamental turner. This is the one which is shown in the lower picture on the right. eccentric cutting frames (ECF) - a variation of the fly cutter, but the cutter's body is held in a drilling frame. internal cutting frames (ICF) - which are basically drilling frames which hold a cutter perpendicular to the axis of rotation. These are particularly useful for cutting the inside of cylinders and egg-shaped objects. Cutters for ICFs take various shapes, and some examples from Holtzapffel's Turning and Mechanical Manipulation, vol. 5 are shown below. 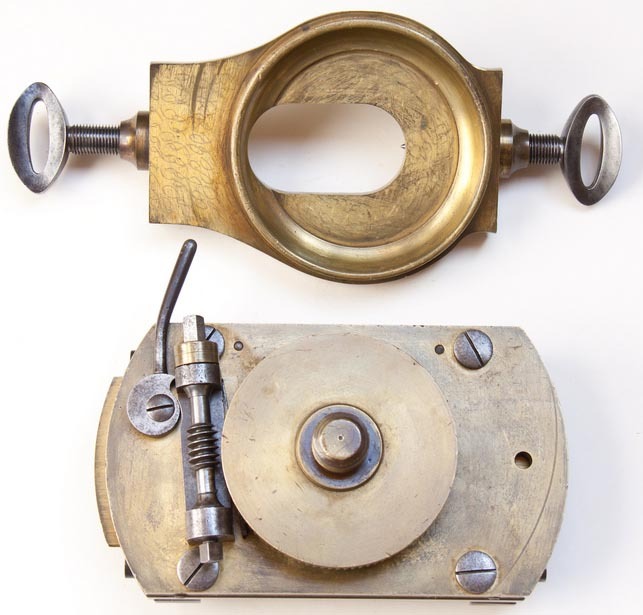 In the picture to the right, the brass part at the end of the arms is the cutter head. The pointed part in the cutter head is the cutter. Key Note : Cutting Frames are where the quality of ornamental cutting comes to life. If there is vibration in the cutting frame it will be transmitted to the cuts, and the quality of the work will be poor. When you are using the ornamental lathe, listen for noise in the cutting frame. The cutting frame should have a whir like a finely tuned machine, and the noise level should be low. If there is vibration, the noise level will be higher. Sometimes much higher. And the tone of the noise will be higher. It won't sound or run like a finely tuned machine. Carbide cutters - these are triangular pieces of carbide held by a screw in the brass cutter head. An example is shown in the picture to the right. There are two on the wheel, making the cutting action happen twice as fast. The carbide cutters stay sharper longer. 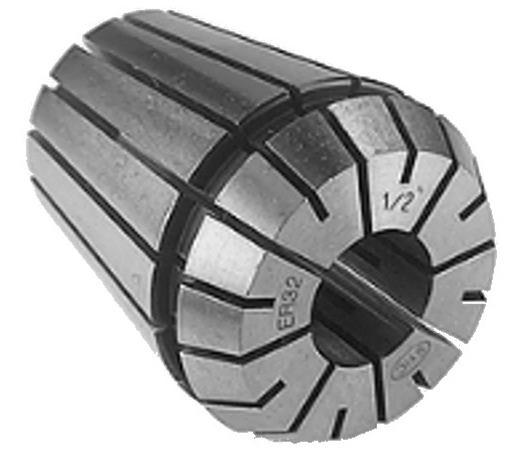 The carbide cutters can be easily replaced when they become dull. Fly cutters - these are sharpened rods put into a holder which spins it around. In the picture to the right, the fly cutter is the sharpened piece of steel held into place in the brass cutter head. 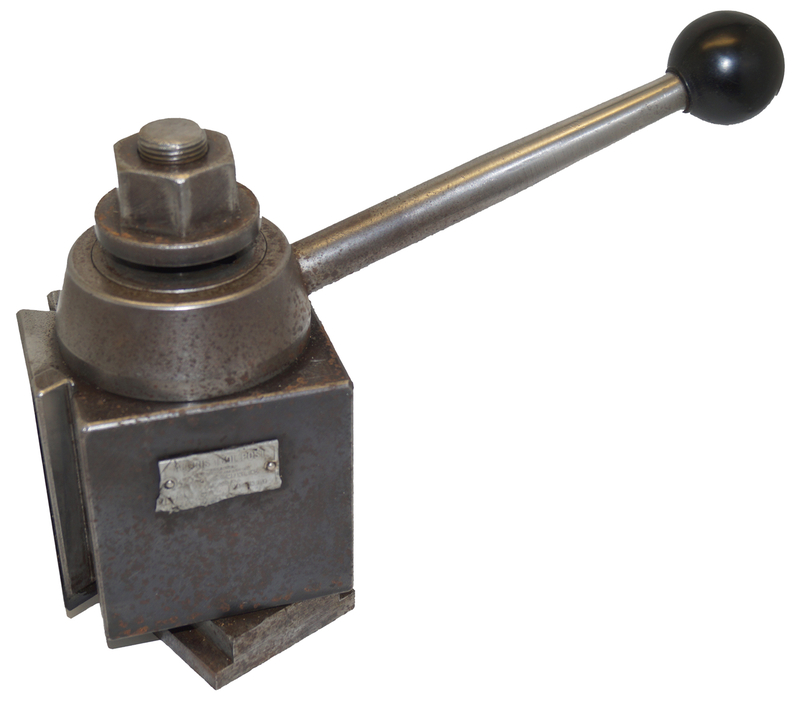 The holder of the cutter can be easily made on a bench top metal lathe; no milling machine is needed. The fly cutters can be resharpened by the home ornamental turner (sharpening instructions for fly cutters are on my Sharpening Handbook web site). The fly cutters can be ground to different shapes than simply a triangular bit. This is of particular note as I have found that rounding over the end (vs. taking it to a point) makes the results better for softer woods (e.g., cherry) and woods with wider grain patters (e.g., ash). Traditionally, fly cutters were flat pieces of metal with various shapes, and there are some ornamental turners who use these still today. Many of these are used with vertical cutting frames, but they work on other cutting frames : It just really mattes what the turner is trying to achieve. At the 2018 Ornamental Turners International Symposium, Steve White introduced the idea of using slitting saws in a cutting frame. These are the same saws that get used in milling machines for cutting slits in an object. Steve's use of this was to cut a slit of a certain size (say, 1/16 inch) along the Z axis in an object at various locations (e.g., every 90° around the circumference), and then insert a piece of contrasting wood into the slit. This is different from segments glued together with thin contrasting woods. In this case, the slits did not traverse the entire length of the piece, only a part of it. (I realize a picture would be great, and I'm working on getting one.) It is a great way to produce a uniformity and beauty that couldn't be easily done via other methods. Jon Magill authored an article titled, "The Cutting Edge of OT" that has more pictures and details. 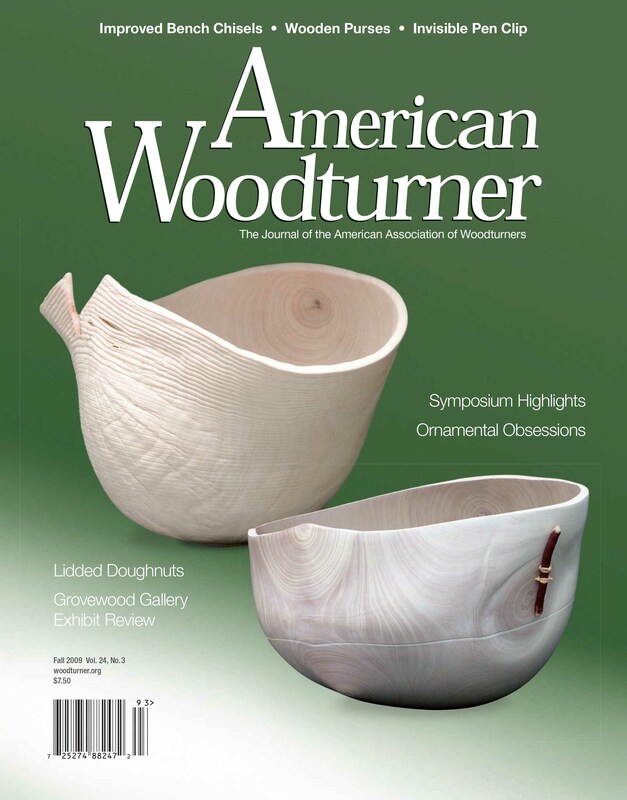 That article was published in the AAW's magazine, "American Woodturner" in Spring 2008, pages 32-35. The cutting head is traditionally rotated using an overhead drive, but direct drive approaches are also used. Cutting frames can be purchased from a number of vendors (see also, Buying a Rose Engine Lathe), or you can make your own. Directions for making a cutting frame are nicely described by Bill Ooms. There are additional notes about this at making a Cutting Frame. If you make your own, you will need belting for it (that is the orange stuff in the universal cutting frame picture, above). I used the same cable belting for this as I used on my overhead drive. The drilling frame is similar to a drill in the way it works. 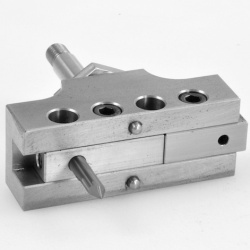 For use, it is held in a quick change tool post (QCTP), and the QCTP is bolted to an cross slide. 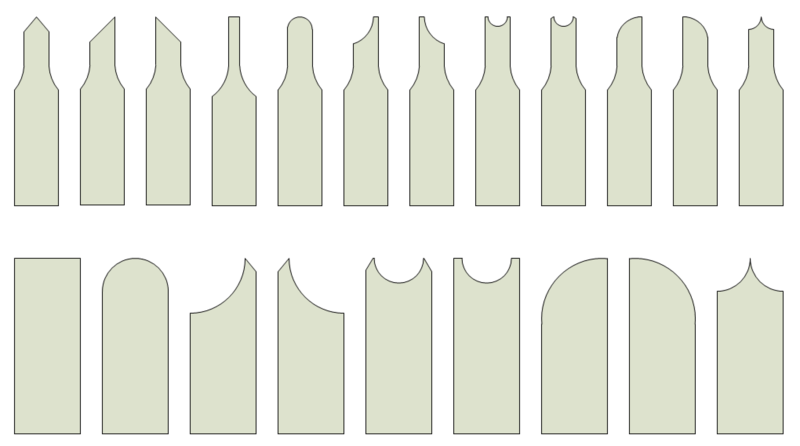 Drilling cutters take various shapes, and some examples from Holtzapffel's Turning and Mechanical Manipulation, vol. 5 are shown below. 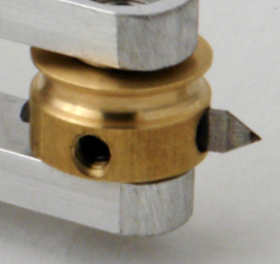 The cutter is typically held in a collet (one is shown in the picture to the left), but Jacobs drill chucks have also been used. The cutting frame is certainly needed; however a drilling frame can wait a little while. Do consider it for one of your first add-on parts. As with cutting frames, drilling frames can be purchased from a number of vendors (see also, Buying a Rose Engine Lathe), or you can make your own. Directions for making a drilling frame are nicely described by Bill Ooms. Key Note : Drilling Frames are like Cutting Frames in that they are where the quality of ornamental cutting comes to life. If there is vibration in the drilling frame it will be transmitted to the cuts, and the quality of the work will be poor. When you are using the ornamental lathe, listen for noise in the drilling frame. The drilling frame should have a whir like a finely tuned machine, and the noise level should be low. The Eccentric Cutting Frame is a variation of the fly cutter, but the cutter's body is held in a drilling frame. 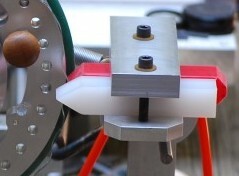 The cutter is spinning along the same axis as the drilling frame, but eccentrically from it (like the eccentric chuck). John Edwards has a great web page about these devices. Work made by an eccentric cutting frame is shown to the left. Engine turning is about inscribing geometric patterns onto an object -- typically something metal. This is work done on a rose engine lathe, and is often done on high end watches. Fixed Tool Turning is the ornamental turning term for scraping. If you've used scrapers in wood turning, you get the idea: a metal tool with some profile is presented to the object whilst the object turns, and the tool scrapes off a very thin layer at a time. The shape of the scraping tool is a bit different as it will need to be able to get into cracks and crevices created by the rosette. An included angle of 20° is not uncommon. There are some shapes that can only be made using this method of turning. Al Collins is a great artist doing this type of work. You can see one of his pieces with fixed tooling on his Instagram page. This video describes tools, setup, and turning process to produce patterns that are only available with fixed tools. It was given by Al Collins at the 2018 Ornamental Turners International Symposium. This is fascinating to watch, as it hapens very slowly (think in terms of minutes per revolution). 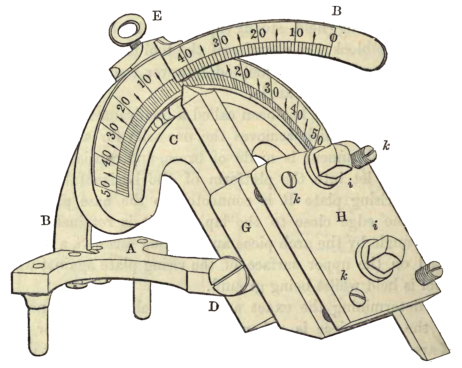 The original goniostat as outlined by Charles Holtzapffel in his 1850 book, Turning and Mechanical Manipulation, Vol. 3 - Abrasive and Other Processes not Accomplished with Cutting Tools. 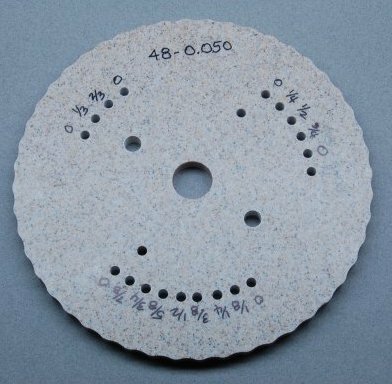 This was designed to work with a flat stone, though now these are used with flat spinning disks, and a newer variation of it is still available. Guilloché is a decorative technique in which a very precise, intricate, and repetitive pattern is mechanically engraved into an underlying material (usually metal) via engine turning. There are also some other really nice videos by Roger Smith (rwsmithwatches) showing similar work. The Vimeo video below shows both types of machines in use. I find that watching this video of such a master craftsman at work is mesmerizing. The Art of Guilloche from RGM Watch Co on Vimeo. If you are interested in pursuing this segment of ornamental turning, Calina C. Shevlin wrote a great book. Calina finished her MFA in the USA, then moved to Switzerland to work in the watch industry making watch faces. It came out in 2017, and is titled, Guilloché: A History & Practical Manual. Indexing wheels get used for a number of operations on the rose engine. As with traditional lathes, indexing wheels are used for cuts which need to be at set angles around the circle : say, every 15°. A common use for indexing wheels in ornamental turning is for phasing. 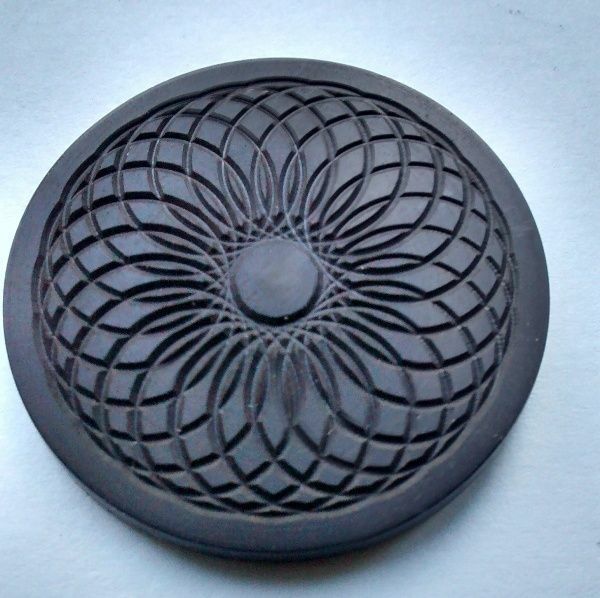 Phasing is changing the relationship between the rosette and the object being turned. the ornamental turner cuts a pattern on the object, one complete revolution. the ornamental turner then cuts the same pattern on the object, one complete revolution. Steps 2-4 are repeated until the object is completed. Jon Magill authored an article titled, "Phasing Fundamentals" that describes phasing in better details. That article was published in the AAW's magazine, "American Woodturner" in Summer 2008, pages 62-63. 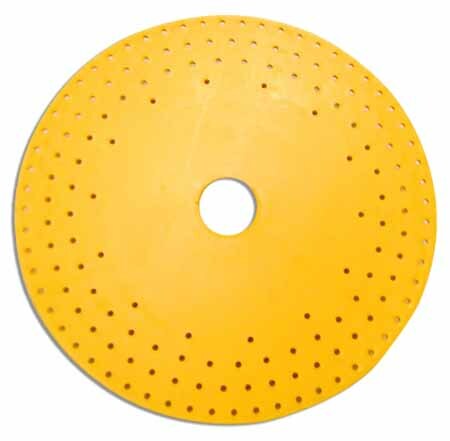 Indexing wheels like the yellow one shown on above can be made with 3D printers, or they be purchased. I purchased an aluminium one from Alisam Engineering. The video below shows a number of things, including the use of an Alisam index wheel (around 2:35 into the video). Ornamental Turning, also called Complex Turning, is executed on a lathe with attachments which convert a plain circular section to variants of outline; these range from a simple series of cuts taken at intervals around the work (so producing grooves or bumps on the surface) to non-circular movements whereby the whole of the circular shape is removed to give a completely different form. 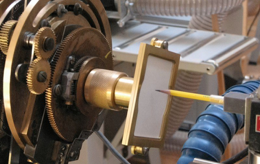 Typically, the ornamental turner uses a rose engine lathe to produce his artistic pieces. When the ornamental turner has a number of cutting or drilling frames, only one motor is needed for all of them, saving money for the craftsman. By having the motor separated from the cutting or drilling frame, there is a reduction in transfer of the motor's vibrations to the cutter. the craftsman has less obstruction to the visibility of his work. The motor to use for the overhead drive is the next thing to consider. It should be powerful enough to drive the cutter when cutting very hard woods, and turn it fast enough to make the cuts. But it can't be too fast or the belting will jump off the idler pulleys. One motor which is commonly used is from Penn State Industries - the Variable Speed Midi Lathe Conversion Kit. Another is the Sherline Variable speed motor. Jon Magill authored an article titled, "Build an Overhead Drive" that describes how to make one. 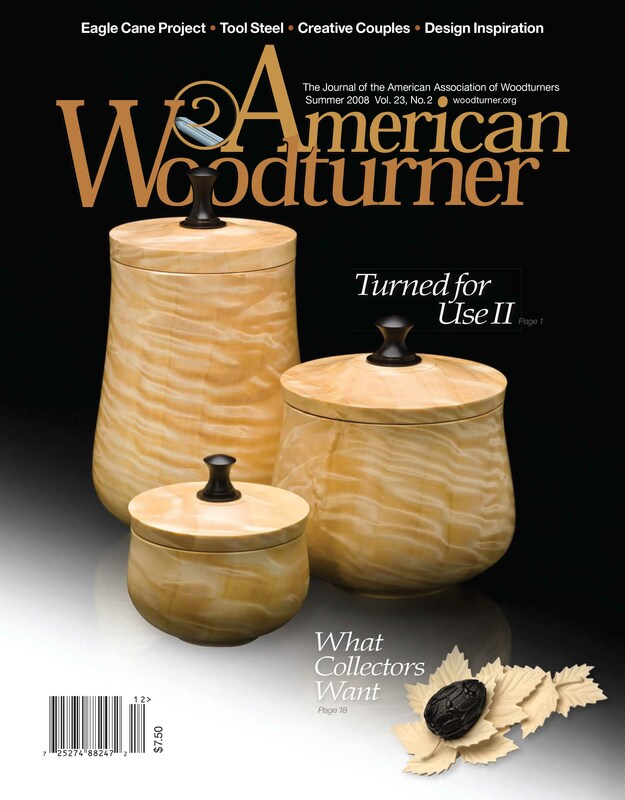 That article was published in the AAW's magazine, "American Woodturner" in Spring 2008, pages 30-31. If you chose to repurpose a router for this use, be sure to put a speed controller on the power feed. Rockler sells one, item number 25278. These motors were designed to operate at a certain speed, and changing that affects the power they can deliver. At too low a speed, they become ineffective. The cooling for these motors were designed for them running at a certain speed. If they run too slowly, the motor could overheat if used too long. Some speed controllers were designed for motors with brushes. I don't know what will happen if they are used with brushless motors. Using a router is not recommended. A belt is needed for the overhead drive motor to drive the cutter. I used round belting from McMaster-Carr, part number 59725K729. 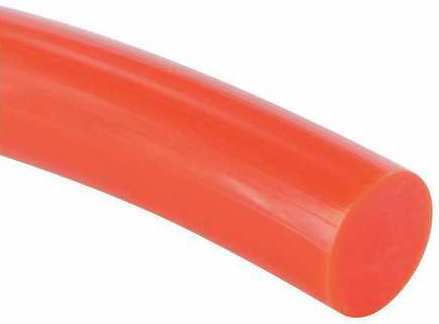 It is made from polyurethane Touch, is 1/8 inch diameter, and is orange (because I liked the colour). It is sold by the foot. Other types of belting are available, and they all have plusses and minuses, and varying costs. One common alternative is to use one which has a more rough texture. The argument made for this is that it doesn't slip as easily (though I've not had that problem, but others may have). It will need to be replaced over time, but 20 or 30 feet will last quite a while. 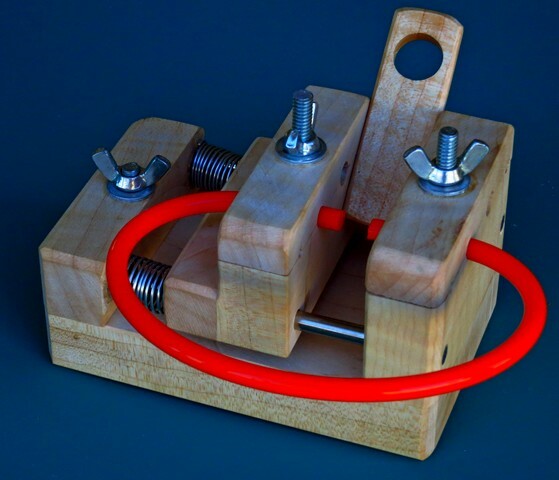 A forum user (who goes by "Sherweld") posted directions on the Ornamental Turners International forum for a jig that makes it much easier to weld the cable into a continuous loop. The picture to the right shows the ends just before they were melted and joined. Melting the ends to join them is done using a soldering iron. I made one of these jigs from a scrap piece of walnut and parts I bought at the local hardware store. The metal parts cost less than $10. I've used this a number of times, and it has never failed me. 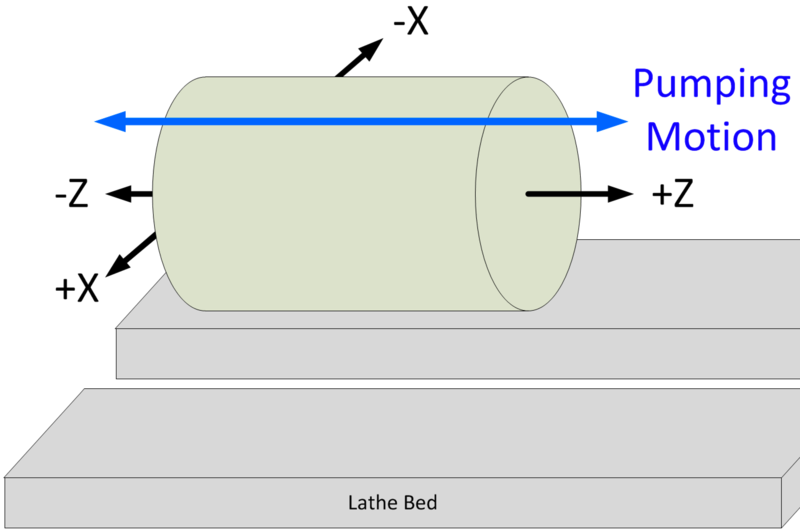 Movement of a piece along the axis of rotation (the Z axis). There are two YouTube videos showing this is below. The first one is on a Lindow-White Rose Engine (which was purchased). The second one shows pumping on an MDF Rose Engine (which Pat Miller made). This is a very innovative approach that Pat made, using the rosette designed to move the object in a rocking motion, and converting motion that into a pumping action. 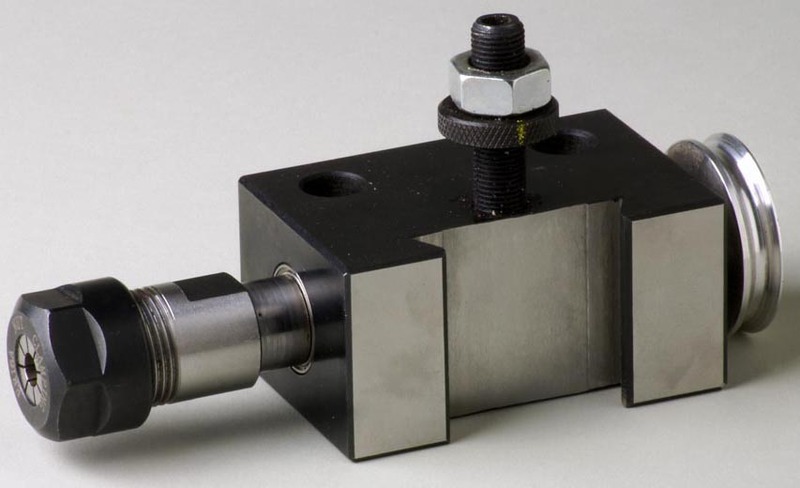 To get the cutting frame or drilling frame in the right position for cutting, it is held in a quick change tool post (QCTP) bolted to a Cross Slide. The reason it is called a quick change tool post is because the ornamental turner can easily change the tooling. To do so, the lever (the ball-ended rod projecting off to the right in the picture) is rotated anti-clockwise and the tool removed. Then a new tool is added, and the lever rotated clockwise to tighten it down. The most common type of quick change tool post is an Aloris style (shown on the right).They come in a number of sizes; and most manufacturers have tried to map to the Aloris sizes. 0XA is the most common size for small metal lathes, and works for smaller ornamental lathes. The AXA size is the next size larger, and is commonly used on larger ornamental lathes, and BXA would be on commonly seen on the largest. Fun fact : "Aloris" comes from the creator's family name, Sirola, spelled backward. Movement of a piece in a way that is perpendicular to the axis of rotation. The cutting head is moved. The first approach is the most common. A YouTube video showing this is below. 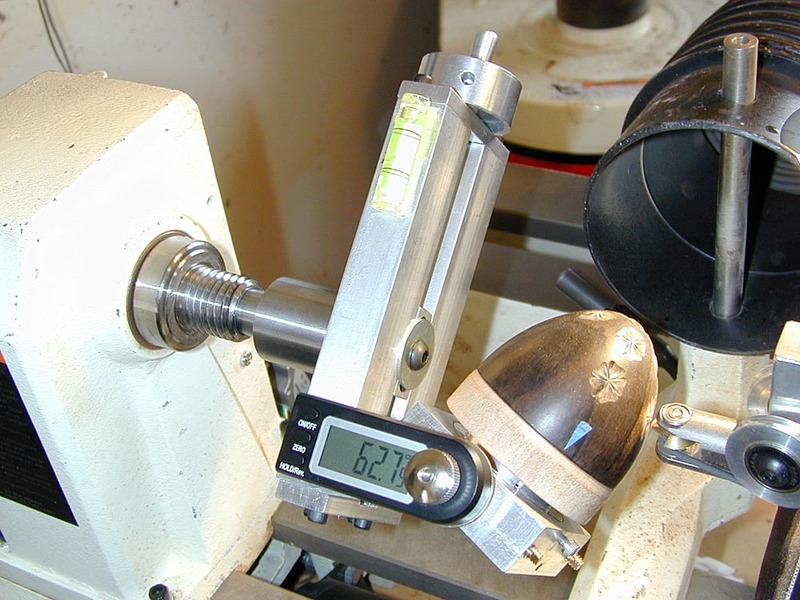 That is not an ornamental lathe per se, but shows the piece moving back and forth along the X axis. 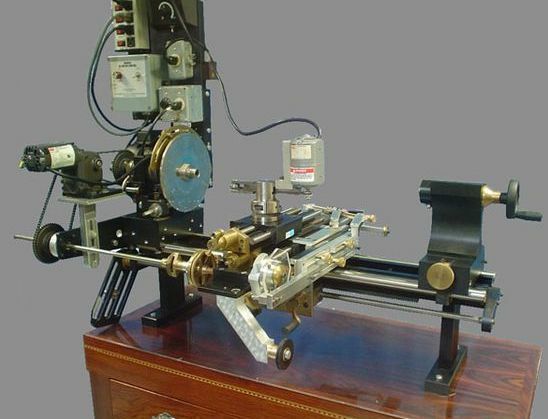 A rose engine lathe is a specialized kind of geometric lathe. 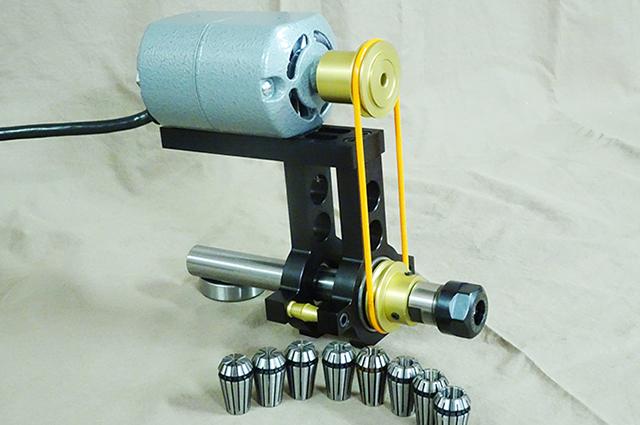 The headstock rocks back and forth with a rocking motion or along the spindle axis in a pumping motion, controlled by a Touch moving against a rosette or cam-like pattern mounted on the spindle, while the lathe spindle rotates. Rose engine work can make flower patterns, as well as convoluted, symmetrical, multi-lobed geometric patterns. The patterns it produces are similar to that of a Spirograph.No other ornamental lathe can produce these "rose" patterns. 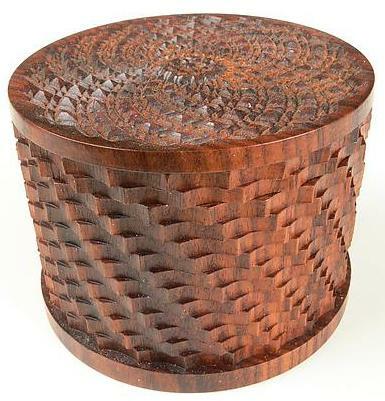 One type of decoration produced by a rose engine lathe is called guilloché. Guilloché is sometimes confused with "jewel finishes" or engine turning, a much cheaper process of making swirly marks in metal by a rotating abrasive peg or pad, which is repeatedly applied to the surface to make a pattern of overlapping circles. Jewel finishes used to be common on stereo faceplates and automobile interiors. 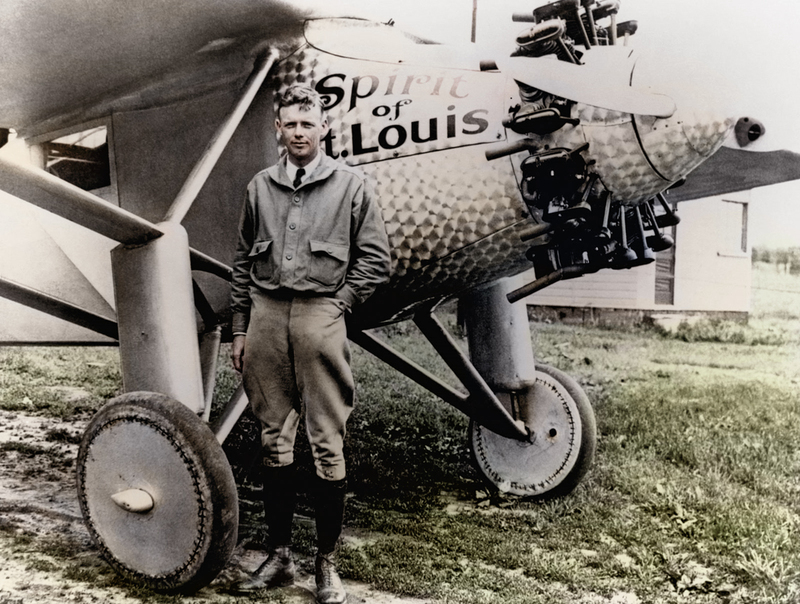 An example of the jewel finish is on the nose of the Spirit of St. Louis (shown at the right). Beautiful wooden objects are also made with a rose engine lathe, and that seems to be the primary purpose for most hobbyists. And for a fun video, here is a spirograph used on an MDF rose engine lathe. Rosettes are cams. They are used to produce the rocking or pumping actions needed on rose engine lathes. Typically, rosettes with the patterns on the edge (like those shown to the right) are used to produce rocking action, and rosettes with the patterns on the face (side) are used for pumping action. 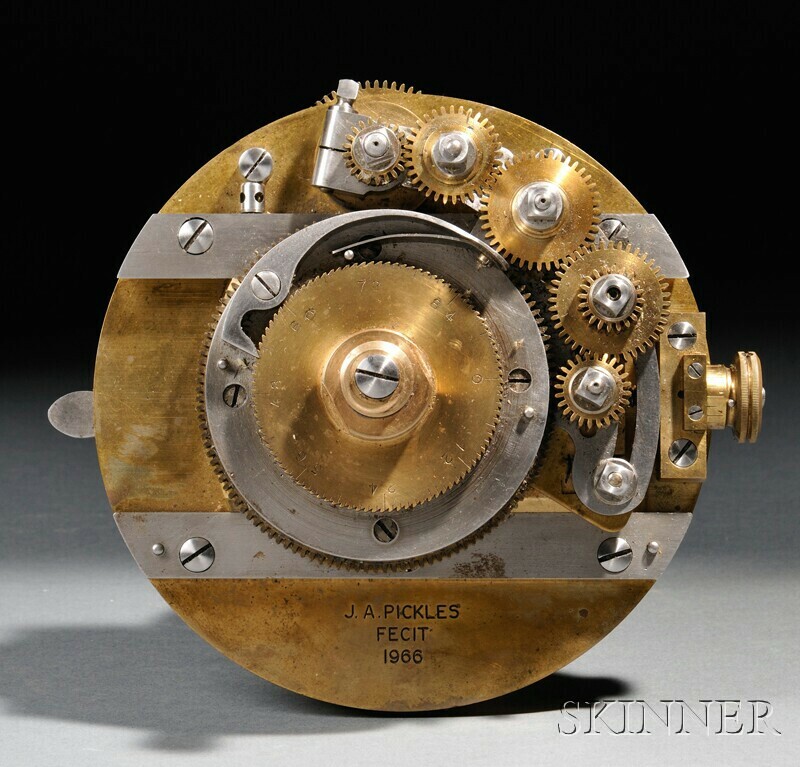 Pat Miller made a very innovative device which uses the rosette designed to move the object in a rocking motion, and converts that motion into a pumping action. A YouTube video showing that device in operation is shown above in the pumping section. This video is about the history, design, and production of rosettes. It was given by Jon Magill at the 2018 Ornamental Turners International Symposium. As you will probably note, this is not for the faint of heart. He lost me when he discussed Rectangular Lissajous Curves. It is cheaper (and a whole lot faster) to buy pre-made rosettes than to learn how to design a rosette, and acquire a CNC milling machine. But, if you are seeking a reason to buy (and learn to use) a CNC milling machine, this is as good a reason as any. And, you can make rosettes that are very special-purpose in nature (Jon Magill made a rosette which produced shamrocks -- very cool!). Theoretically, they could be 3D printed; though I have never seen nor heard of any made that way, and the people with whom I've spoken who tried it said it doesn't work well. I purchased acrylic rosettes from Mandala Rose Works (for the rose engine lathe I made from a Delta Midi lathe -- and am abandoning). Jon Magill uses HDPE for his, and various other plastics, including Corian, are also used. Of course, the ornamental turner could always go old school and buy brass rosettes. Each rosette can be phased relative to another rosette, not just the object. This opens up a whole new set of artistic options for the ornamental turner, AND will give more abilities to stay out of your spouse's way when you retire ! This is the approach that Jon Magill has purposefully taken with the design of the MDF Rose Engine. One of the really cool things about rosettes is that they can be used two ways. When using a given rosette, the artist/craftsman can position the cutter to cut on the near side of the object (the side where the traditional lathe has the tool rest). This makes a pattern just like the rosette. Alternatively, the artist/craftsman can position the cutter to cut on the far side of the object. This makes a pattern which is the inverse of the rosette. The difference is especially notable on the end of a piece, or when hollowing and the inside curves need to match the outside. 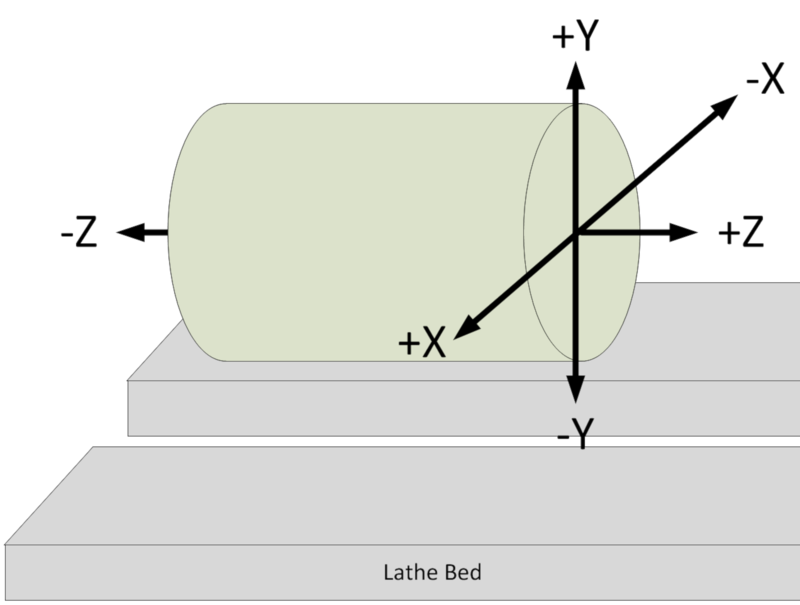 A spiral apparatus is used to turn the object as the cutter is moved in one direction on the X axis. The result is a spiral cut. The video below shows a number of things, including the use of a Spiral Apparatus (around 3:00 into the video). This video is about the design, construction, and use of the Spiral Apparatus that he produced during the past year. It was given by Al Collins at the 2018 Ornamental Turners International Symposium. Touches are sometimes called rubbers, as they rub against the rosettes. The terms are interchangable. A touch works fundamentally the same way a cam follower does on an engine, except in the opposite way. On an internal combustion engine, the cam follower moves based on the cam's shape. On a rose engine lathe, the the touch is fixed, and the rosette moves the shaft to which it is attached, based on its own shape. Two are shown in the picture to the right : the red and white pieces of plastic (only the red one is engaged with the rosette at this time). T-shaped, where the wide T smothes out the undulations of the rosette. The video below shows this movement, along with differently shaped touches. I don't know the language used; but the video does show the movement well. On a typical rose engine lathe, as the shaft rotates the object and the rosette, the rosette moves against the touch, moving the shaft. The touch stays fixed, making the whole headstock move according to the rosette's shape. As shown, this would cause a rocking motion. I say "typical" as there are a class of rose engine lathes which have a fixed headstock, and the cutter moves according to the rosette. This is the Pudsey-Dawson approach, and the Paul Cler lathe is an example of this. Recently, this approach is becoming more prevalent with the ready availability of linear bearings at a low cost. At the 2018 Ornamental Turners International Symposium, one demonstrator had a self-built rose engine lathe using this approach.